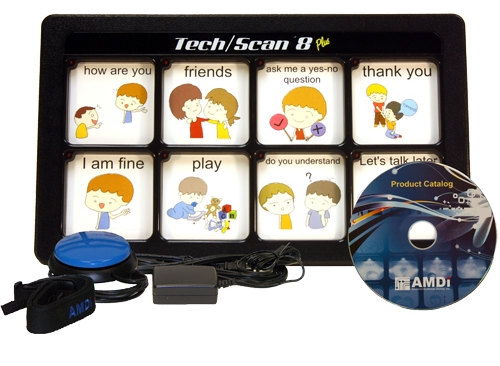 The Tech/Scan 8 Plus is a light weight multi level augmentative and alternative communication device that combines standard direct select communication with the benefits of scanning. This device has real voice audio reproduction. 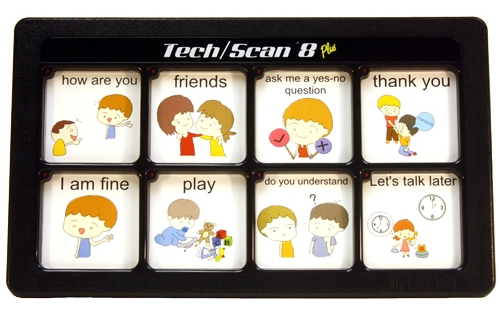 The Tech/Scans have the LED prompt lights embedded in the grid which allows the use of overlays without the time consuming task of punching holes to see the lights. Large well labeled control button on back panel for ease of use.